Often when I go to a wine tasting, people will recommend that I taste this or that wine and say, “it is your style.” At a recent tasting of the wines from Montcalm imports, everyone I met seemed to be telling me to taste the wines at table #13. A friend even went so far as to bring the winemaker/owner from table 13 to me to introduce him saying, “you must taste his wine.” Finally, I got to table 13. It was obvious that my friends know the kind of wines I like because it was one of my favorite producers of Brunello, IL Marroneto. 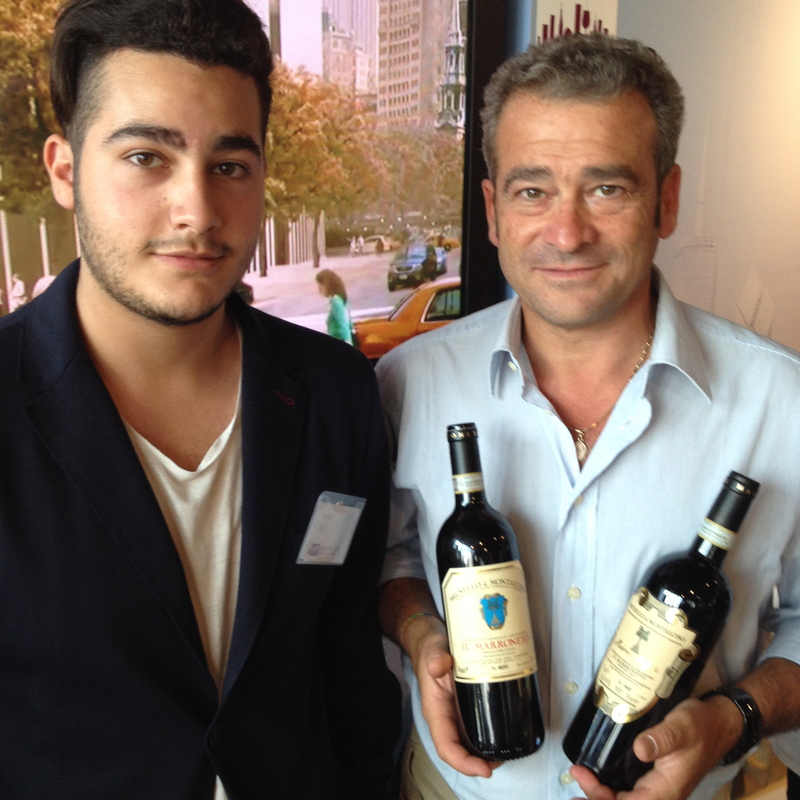 At the table were the owner/winemaker, Alessandro Mori and his son Jacopo. Alessandro told me that the wine really makes itself and he only does what is necessary. He has a traditional and minimalist philosophy both in the vineyard and in the cellar. 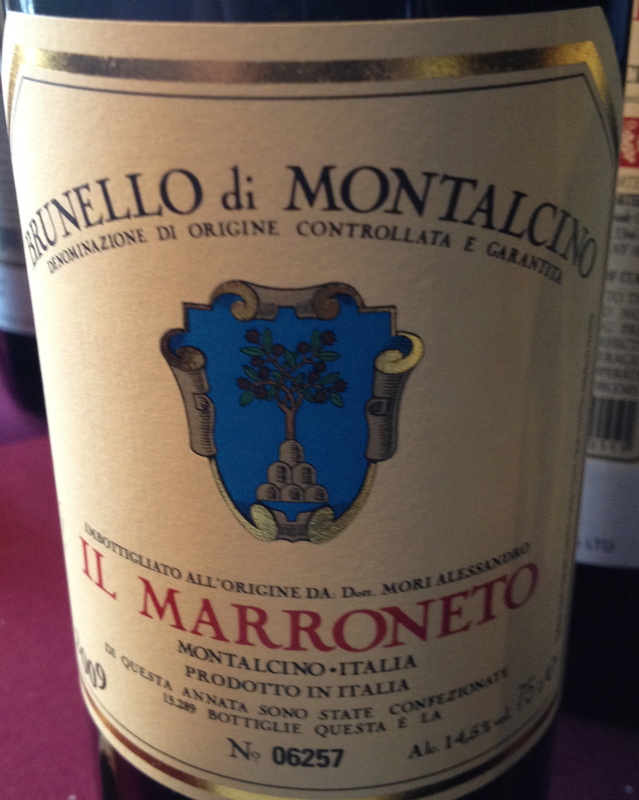 IL Marroneto is one of the 10 historical wineries of Montalcino and was purchased in 1974 by Giuseppe Mori, Alessandro’s father. The towers of the city of Siena are the backdrops of the estate’s vineyards located high on the north slope of the hill of Montalcino. The vineyards are at 400 meters and extend to the walls of the town. 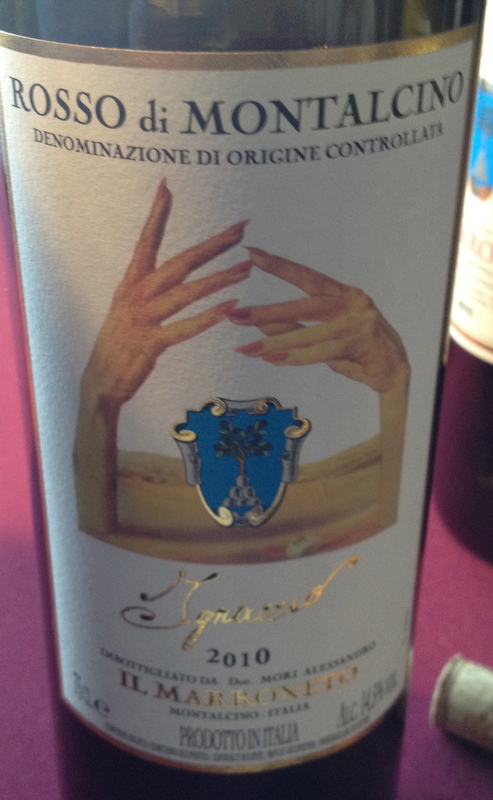 This is an area where grapes have been cultivated since the times of the Etruscans. 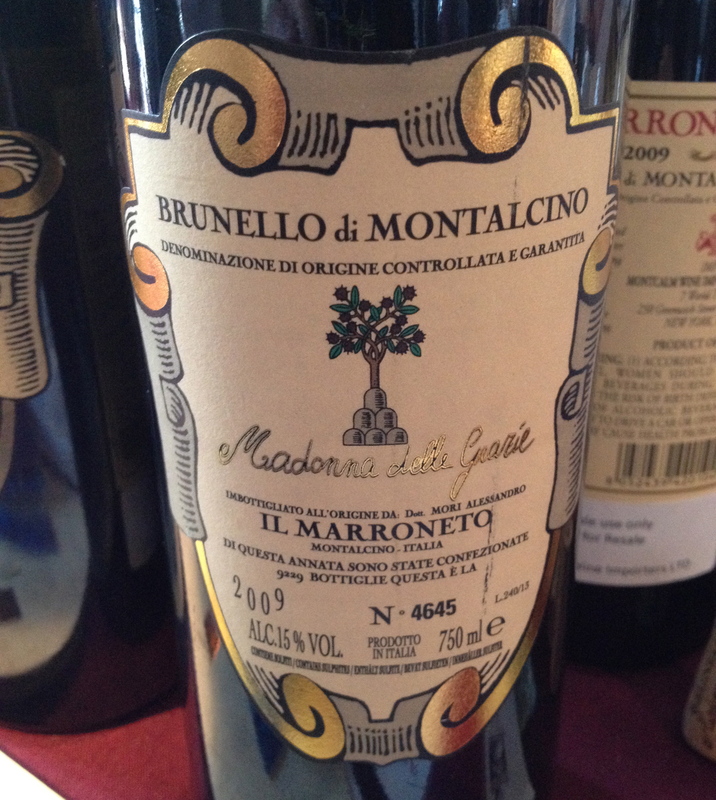 “IL Marroneto is one of the 10 historical wineries of Montalcino” I’ve never heard of the 10 Historical wineries of Montalcino who are they?